An 82-year-old man was struck by a car Monday morning in Happy Valley, and the at-fault driver may have been blinded by the sun, Bellingham Police said. The man was crossing Old Fairhaven Parkway southbound in a crosswalk when he was hit by a 25-year-old driver turning east in a Volkswagen Jetta. Police said that “sun in the driver’s eyes was a contributing factor,” and that it’s still under investigation. The impact occurred at a slow speed. There was no property damage to the Jetta. The 82-year-old man suffered a broken leg in the collision and was taken to St. Joseph Medical Center. In the accident above, it appears the at-fault driver was temporarily blinded by the morning sun. Sun glare is worst at sunrise and sunset, particularly in the fall and spring. During those times of year, the glare is the worst in the morning. So can the driver who causes an accident be held liable, or is the sun’s glare a defense? Simply put, drivers are expected to use reasonable care while operating a vehicle. That’s a broad statement, but it basically means acting rationally under the circumstances. Drivers are expected to adapt to the environment they’re in, meaning 60 miles per hour is not viewed the same on city roads as it is the highway. Adapting to the sun is not unreasonable. Any driver should expect to deal with it during morning and evening commutes. Even in the worst cases, sun glare is not a valid excuse for causing an accident. Of course, there’s ways to combat the sun glare. Sunglasses, sun visor, decreased speed and increased stopping distance are all smart things drivers can do to prevent accidents. Pedestrians should also be on the lookout for unsafe or blinded drivers during these times. According to the Washington State Department of Transportation records, there have been 30 crashes involving bicyclists and pedestrians in Bellingham this year. That includes one death and six suspected serious injury collisions. In 2016, there were 37 such incidents in Bellingham. 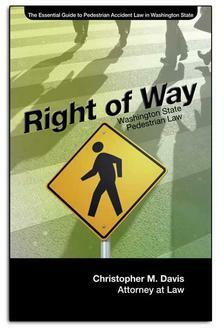 The issue reached a point where the city of Bellingham began an awareness campaign. The state of Washington has seen 335 pedestrian-involved collisions in 2017, including 80 deaths. In 2016, there were 445 such crashes and 94 fatalities. Involved In A Washington State Car Accident? The personal injury attorneys at Davis Law Group, P.S., have a strong track record working with victims of personal injury accidents throughout Washington State. Attorney Chris Davis understands how to effectively represent clients who have been injured in serious car accidents and get them the compensation they deserve. If you or a loved one has been injured in a serious car or pedestrian accident, please do not hesitate to contact us by calling (206) 727-4000, or by using the convenient contact form on this page.